As part of our 4 point strategy for living a complete life in Christ, we believe we should Worship daily. Have you met with God today personally? Our Worship ministry encourages not only personal time with God each day, but corporate gatherings to praise Him each week. 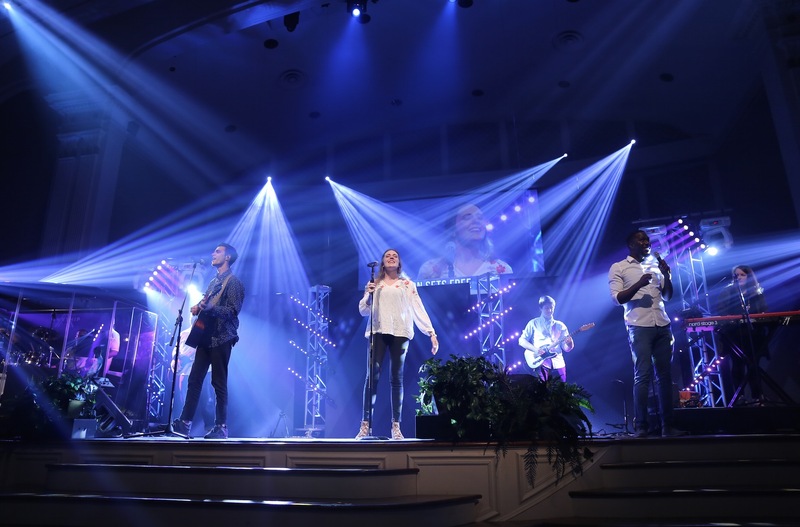 Leading the Genesis Service at 11:00 AM Sunday Mornings, our Genesis band is a passionate group of worshippers and musicians that lead our congregation not only in songs, but in postures of worship. Our heart is to have authentic corporate worship by responding to who God is, and what He has done. Genesis is the place to hear new and original songs in a live band setting. The Genesis Band is led by our worship leaders Chris and Lindsay Gregory, along with a rotation of gifted worship leaders. The Praise Team is an ensemble of six to twelve vocalists who lead in blended worship in the Celebration Service at 9:30 AM Sunday Mornings. It is an auditioned group and is comprised of Sanctuary Choir members who have a passion for leading the congregation in praise and worship. Rehearsals are Wednesday nights from 6:30 to 8:00 p.m. and you are welcome to come sit in on a rehearsal to see if it is a fit for you. 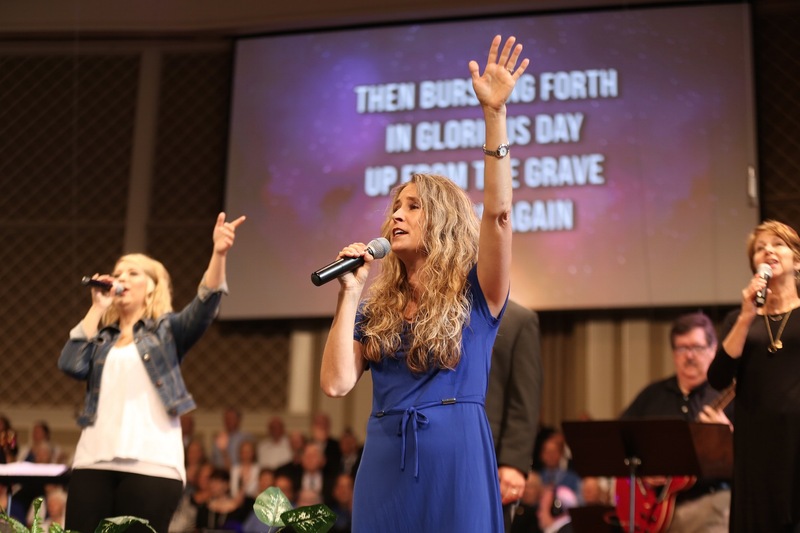 We all need to find our Serve opportunity… and if you like to sing, come experience the joy of using your gift of music to sing praises and join in the blessing of leading our church in worshiping the Lord! 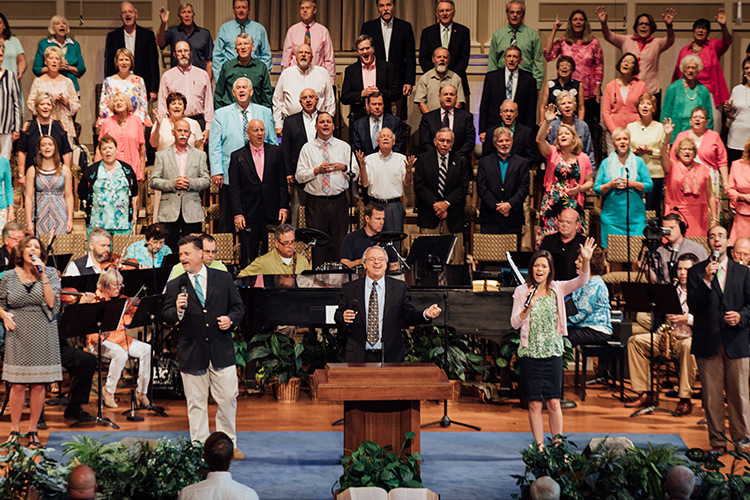 The Sanctuary Orchestra is an integral part of the music ministry of First Baptist Church. 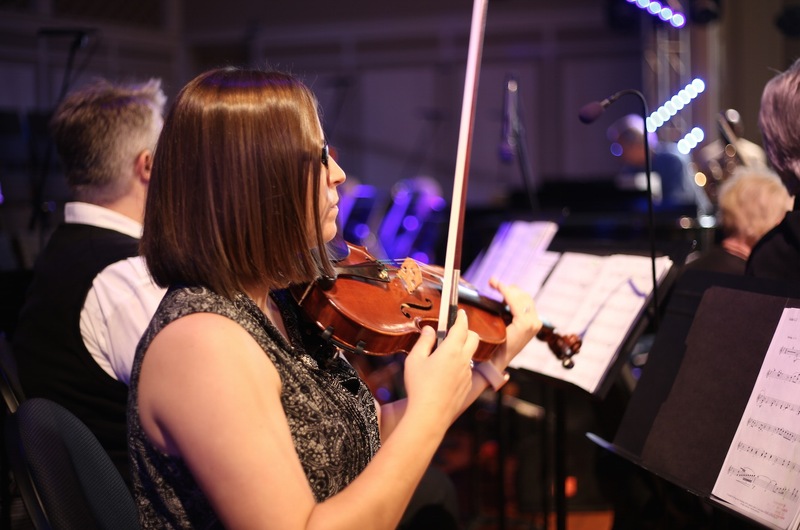 Whether it’s beginning a worship service with an inspiring prelude or joining the Sanctuary Choir in leading praise and worship, the Orchestra’s main focus is helping others glorify God through music. Adult proficiency is required. 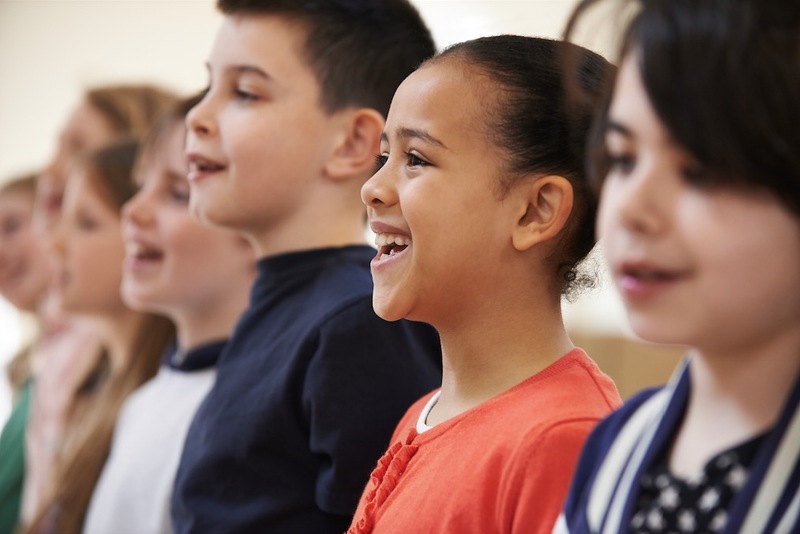 The Children’s Choir is for kids age 3 through 5th grade. 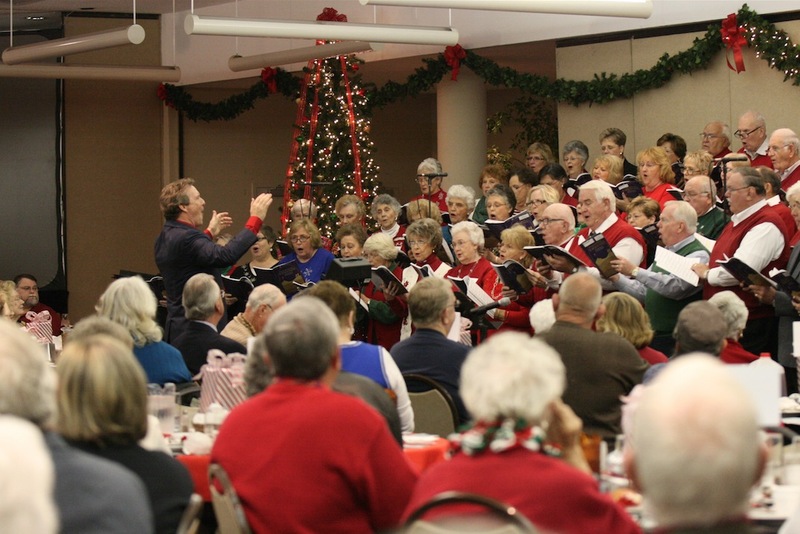 They’ll learn and apply scripture through music, present special programs each Christmas and Spring, and minister in song at local assisted living facilities. Key Change is our junior high choir. Key Change takes an annual trip ministering in children’s homes, homeless shelters, and mission centers. 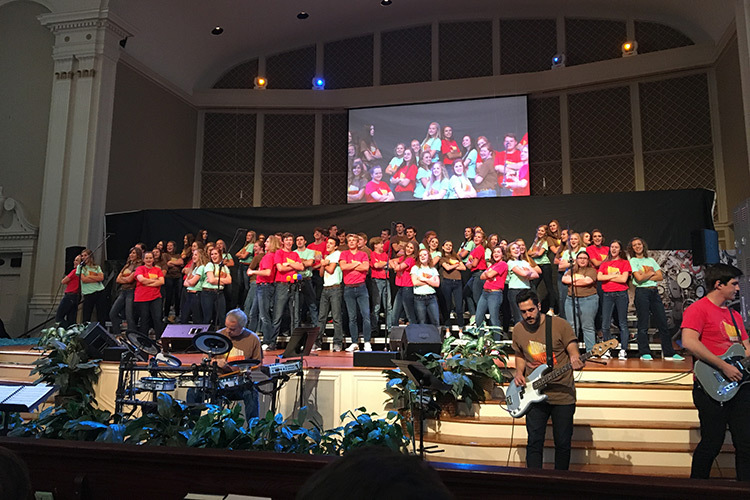 Mirror Image, our senior high choir, joins with Key Change each fall to present a musical for our church and community. In the second half of the year, Mirror Image prepares for a mission trip to juvenile detention centers across the United States. In the summer of each year, this group presents the gospel to prisoners using contemporary Christian music accompanied by a live band. Literally thousands of prisoners have come to know Christ as a result of this ministry. At the close of this ministry tour, Mirror Image presents a Homecoming Concert at Barnet Park. Register below! *Please note that the bank charges a fee of 2.9% for online payments. If you are paying online, you will need to make up the difference to cover the cost of the trip. Yesterday’s Teens is a group of senior adults serving the Lord through music. Each spring, this group travels to adult prisons across the country sharing the gospel of Christ with inmates. They have also sung in various retirement centers throughout Spartanburg, and each Christmas, they present a program in our dining hall for the senior centers in our city. Yesterday’s Teens frequently leads in worship in Sunday evening services.